What is an NPN number ? Which is the best probiotic for you ? The composition of the human flora evolves during our lifetime. More specifically, the concentration of Bifidobacteria, a type of probiotic bacteria that is predominant in the colon, diminishes considerably over time, leaving more space for pathogenic bacteria to thrive. In light of this, it is imperative to use a probiotic formula that is specifically adapted based on age, in order to ensure a better natural balance of intestinal flora. Therefore, Probaclac complexes are developed according to the evolution of intestinal flora from childhood to old age. Formula adapted to travelers with its broad-spectrum action thanks to its high number of strains, thus ensuring intestinal comfort during travel to avoid certain inconveniences related to intestinal problems. Formula indicated for the reduction of antibiotic-associated diarrhea. Safety and efficacy validated clinically in adults and children. High concentration formula for people with acute intestinal problems. The Probaclac Extra Strength probiotic formula helps to quickly restore the intestinal flora and maintain its health. Multi-strain probiotic formula with 25:1 : 200mg concentrated cranberry extract. Supports bacterial balance of the urinary tract and helps prevent urinary tract infections. Formula indicated for the reduction of antibiotic-associated diarrhea and helps to manage acute infectious diarrhea. Formula composed of the probiotic strain Lactobacillus GG, the most documented strain around the world. Feminine probiotic formula that helps reduce the recurrence of bacterial vaginosis, maintain and balance vaginal pH. Bacterial vaginosis is a very common problem in women that can be difficult to resolve. 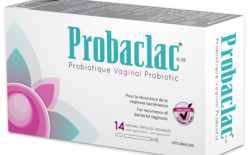 Probaclac Vaginal is a unique product and the effectiveness has been clinically proven. 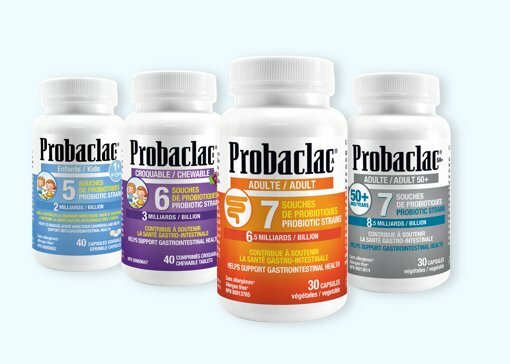 PROBACLAC IS PROUD TO OFFER PROBIOTICS WITHOUT ALLERGENS *. Throughout the probiotics production, priority food allergens are avoided. We are committed to providing supplements that fit everyone, no matter how sensitive. 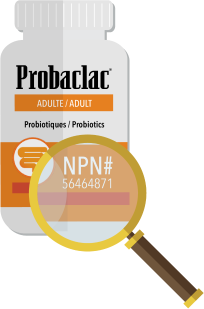 Probaclac is the reference for probiotics without dairy proteins, gluten, soy and all conventional allergens. * Probaclac Chewable for kids may contain traces of milk protein. Probaclac Medic may contain traces of soy. Probiotics are often consumed by people intolerant to gluten or those affected by celiac disease to relieve symptoms and facilitate digestion. However, the reality is alarming since not all probiotics are gluten-free1. Thus, instead of helping the digestion of these people, some probiotics harm them. The situation becomes particularly serious for people with celiac disease. The condition affects digestion to such an extent that gluten ingestion leads to an abnormal immune response, causing inflammation and gut wall damage. It is essential to consume a gluten-free to improve the health of the intestines, seriously affected by the disease. Soy is one of the most common priority allergens. It is important for people who are allergic to avoid consuming soy foods and foods that contain some, while still making healthy food choices. Probiotics can come from a milk source, and therefore contain traces of lactose. This can have disturbing effects in people with lactose intolerance. Prebiotics should not be confused with probiotics. Probiotics are living microorganisms that, when ingested in sufficient quantity, exert positive effects on the health of the microbiota, beyond the traditional nutritional effects. 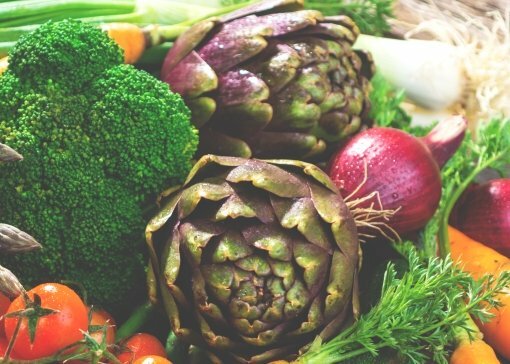 Prebiotics are plant fibers that are not digested during their passage in the stomach. They are found in the colon where they serve as food for probiotic bifidobacteria. In this sense, prebiotic fibers are said to have a bifidogenic effect because they help Bifidobacteria to reproduce. As probiotics and prebiotics work in synergy, some supplements combine them to produce an effect called "symbiotic". Why is it important to consume a multi-strain probiotic, namely containing Lactobacilli and Bifidobacteria? 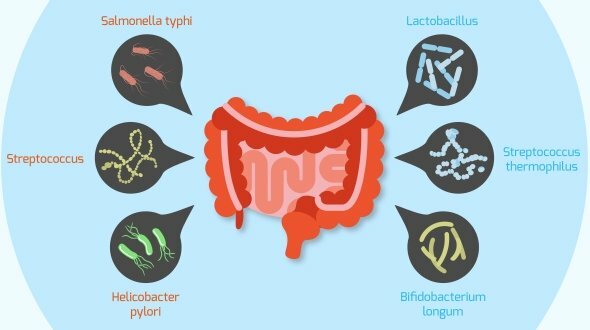 When scientists studied this new body called microbiota, 400 different species were isolated. To this day, more than 15,000 to 36,000 species have been recorded. The human body containing a variety of strains, choosing a multi-strain probiotic such as Probaclac, where Lactobacilli and Bifidobacteria are present, is the best choice for your health. A multi-strain probiotic can cover the entire gastrointestinal tract; the stomach, the small intestine and the colon. The Lactobacilli do their work in the small intestine whereas the Bifidobacteria colonize the areas of the colon. 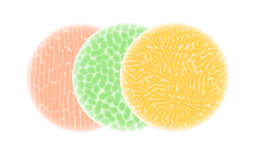 Each strain has its specific activity when it reaches the area where it produces enzymes and bacteriocins. There is then a synergy of action from each strain, that is to say a positive additive effect at the intestinal mucosa level. Moreover, according to research findings, there is a link between ‘’colon cancer’’ and the loss of Bifidobacteria as we age. 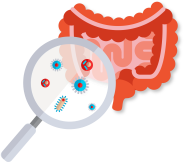 Want to know more about the different probiotic strains and intestinal flora ? WHY IS IT ESSENTIAL TO ENRICH THE DIGESTIVE TRACT WITH "GOOD" PROBIOTIC BACTERIA ? The intestinal flora of humans is a complex environment where more than 500 species of bacteria are constantly struggling to appropriate the available space. It is an evolving world where the natural balance between different species can be affected when pathogenic bacteria grow too quickly. 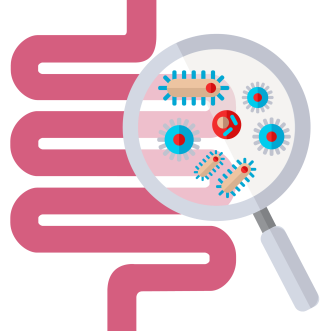 This is why it is essential to regularly supplement the intestinal tract with 'good' probiotic bacteria in order to maintain the natural balance between the species. How do probiotic bacteria contribute to maintaining the natural balance of intestinal flora ? WHAT ABOUT PROBIOTICS FOUND IN YOGURT? IS A REFRIGERATED PROBIOTIC IN FERMENTED MILK MORE EFFECTIVE ? Literature on the subject indicated that a too high rate of Lactobacilli present in fermented milk impairs the product while stored. For optimal health benefits from a probiotic liquid containing large quantities of added stem cells of human origin, it must be consumed within one week from its date of manufacture. Some probiotics must be refrigerated to prevent a decrease in bacterial concentration and thus maintain the potency and effectiveness of the product. To that end, be sure to read the labels and choose a probiotic that does not require refrigeration for the life of the product. This will ensure you consume a probiotic whose effectiveness has not been altered when stored at room temperature. Pay attention to the commercial products offered in refrigerated displays. What is the precise date of manufacture of that product ? Has the product always been stored according to label directions since its date of manufacture ? Have the recommended temperature standards (between 3 and 8-degree Celsius) been respected, since the product was shipped from the manufacturing plant to the grocery store or the drugstore ? Furthermore, were the clinical studies conducted on a freshly manufactured product or on a product from the shelves just like the one you are buying ? Is there an advantage in consuming enteric-coated capsules ? There is absolutely NO advantage in consuming enteric-coated probiotic capsules. First, Lactobacilli probiotic are natural residents of the stomach and play a key role in the prevention of gastric ulcers caused by the bacterium H. pylori (helicobacter pylori). It has been shown that in the population suffering from gastric ulcer, there is often absence of Lactobacilli in the stomach. As a result, taking a probiotic in an uncoated capsule may allow to reactivate the Lactobacilli in the stomach and thus help inhibit the growth of H. pylori and subsequently eradicate the ulcer. 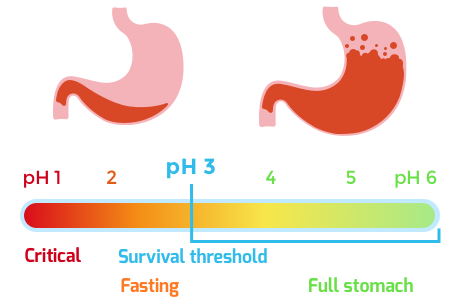 Moreover, it is important to know that the level of gastric pH varies from 2.5 when fasting, it can go down to 1 at its most acidic level which is worrisome, to pH 6 on a full stomach (pH 1 being very acidic and pH 6 very alkaline). In this regard, all probiotic manufacturers worldwide must demonstrate that their strains remain alive in an acidic environment at a pH of 3. By demonstrating the survival of the strains in a pH of 3, this also confirms that they will survive in a less acidic pH of 5 or 6 on a full stomach. This is why it is always recommended to take a probiotic during meals. Why opt for Probaclac Probiotics ? For all practical purposes, an NPN (Natural Product Number) is a certification that is issued by Health Canada to confirm the safety and effectiveness of natural products for specific indications. In some cases, the NPN replaces the DIN (Drug Identification Number) for products in which the main active ingredients are of natural origin. In this respect, NPN legislation does not apply exclusively to natural health products, but to all products formulated with natural ingredients. Like the DIN, the NPN requires strict quality control and Health Canada approval before the product can be sold. With the advent of regulations from the Natural Health Products Directorate (NHPD) at Health Canada, it is now necessary to prove that natural products have been manufactured in accordance with good manufacturing practices (GMP) and have been subjected to strict quality controls. In short, an NPN represents confirmation that a product has successfully completed the entire NHPD evaluation process, most specifically with respect to good manufacturing practices (GMP) and quality control.